One to many blackjack. A single deal caters to many players using an altered deal convention. Additional cards are dealt to the centre of the table and allocated to players choosing to hit/double/split etc. 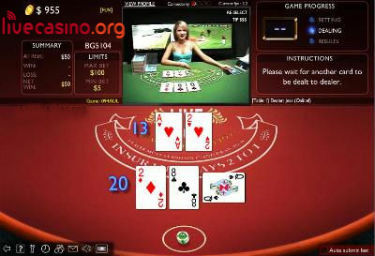 American (double zero) roulette presented on a user friendly play interface. Note American roulette offers returns inferior to European (single zero) roulette. 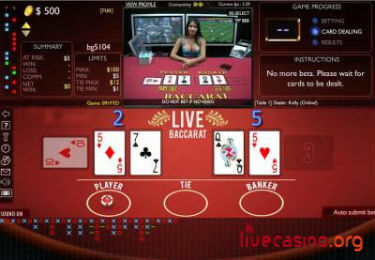 We've included Betphoenix because it is one of the very few live casino options available to US players. 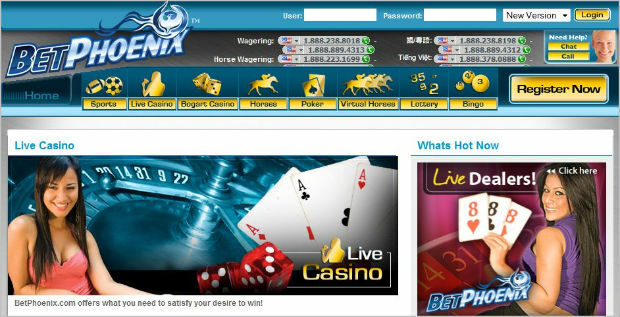 Betphoenix is an online sports betting site of good repute with a long and controversy-free operating history and their live games are fun to play. 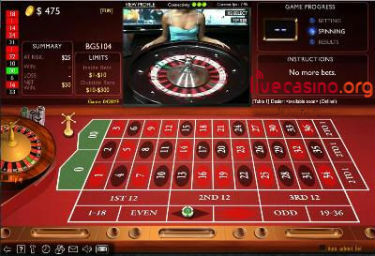 The fact that they offer American roulette rather than the better returning European version of the game, and a 'one to many' blackjack version rather than the classic 7 seat multi-play game, makes the casino inferior in pure gaming terms to some of the other listings on this site. A further negative is the Costa Rican license which effectively means the casino is largely self regulated. A good option for US players. Players from the rest of the world can probably do better.